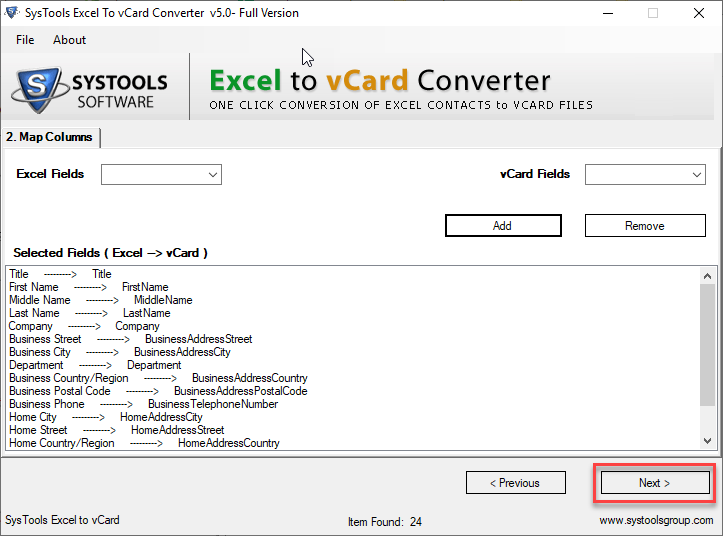 XLS to VCF converter is the process that a user can use to Transfer Contacts From Excel to vCard format with ease and security. Moreover, the software provides users three different vCard edition options that a user can use to save exported XLS or XLSX file. In addition, the exported .vcf file is compatible with all vCard supported formats. A user can easily load or add XLSX or XLS file and the software will provide an instant preview of the complete Excel file. One can view each row and column along with its associated data. 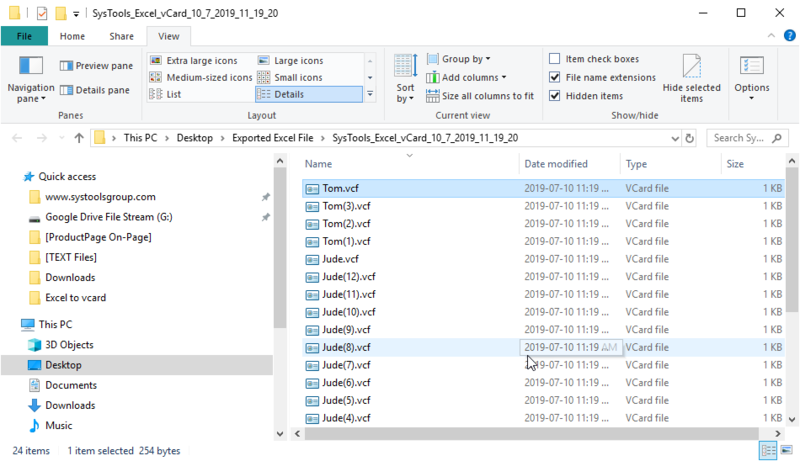 Apart from this, the XLS to VCF Converter tool load multiple Excel file sheets so that it becomes easy for a user to view the content of all the pages present in it separately. 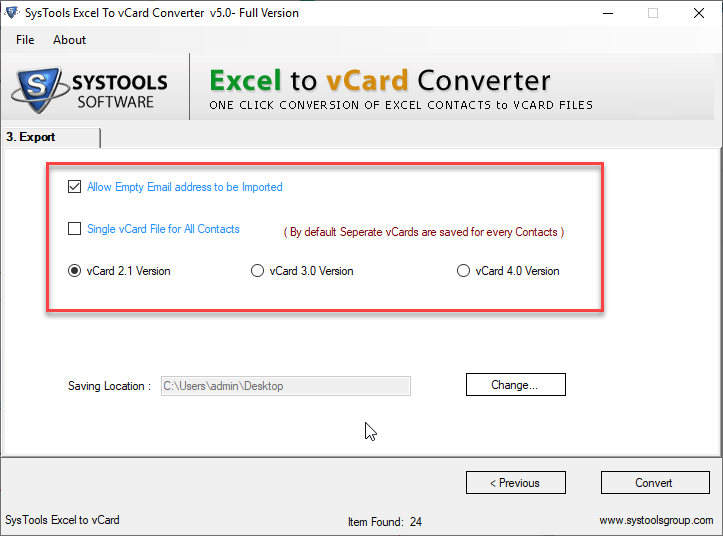 The Excel contacts to vCard exporter tool allows users to convert multiple contacts from Excel spreadsheet to vCard format in batch also. However, the software is tested on 30,000+ contacts. One is allowed to save all the fields of an Excel file in the output .vcf format through mapping. Moreover, the software creates separate VCF file for each contact available in the Excel spreadsheet. 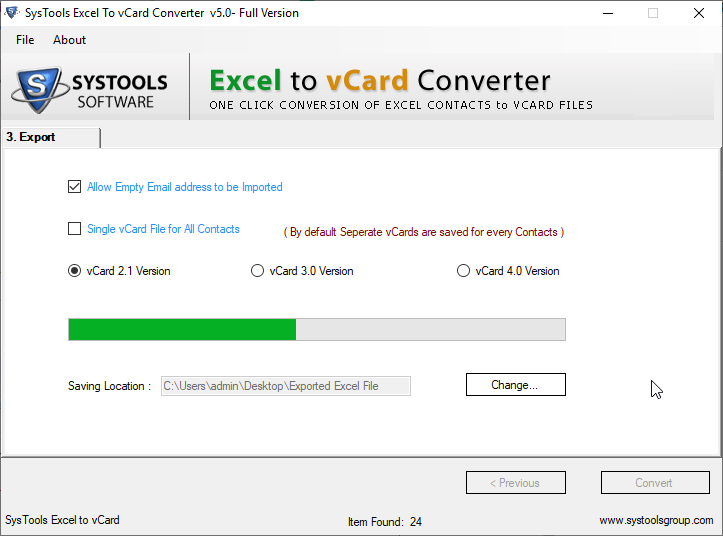 With the help of tool to convert XLSX to VCF, a user can export Excel Data to vCard 2.1, 3.0, and 4.0 editions depending upon the user’s selection or needs. Apart from this, the software also allows users to create a single vCard file merge with all contacts of the selected Excel sheet. 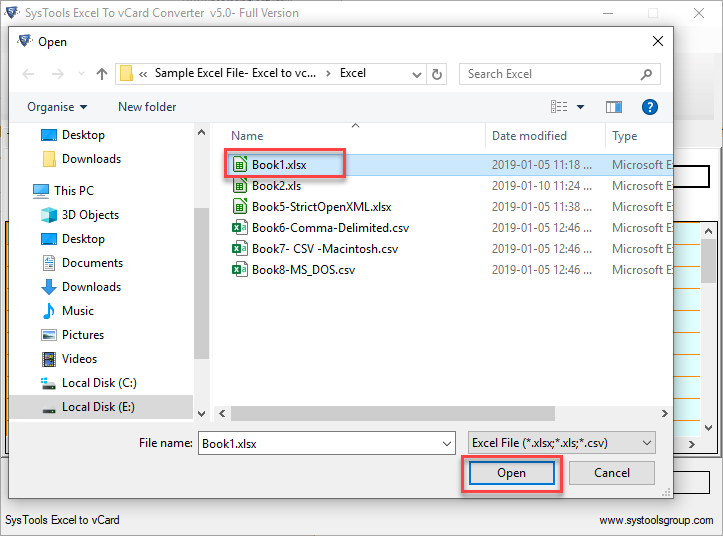 Moreover, the tool also provides users an option to save or export Excel contacts to vCard VCF file format at any desired location of the choice and by default, it saves .vcf file on the desktop. In order to export all details of each column into VCF format, one can easily use the mapping option. As soon as the tool loads the entire Excel file, it displays all columns in the drop down menu for Excel field. Choose each column name from drop down of Excel field and the respective name from the drop down menu of vCard attribute’s to map the columns. In addition, the software imports all contacts with empty emails address field also to vCard. After exporting XLS contacts to VCF format, a user can successfully import them into any supported application or devices such as WhatsApp, Android phones, MS Outlook profile, BlackBerry, Nokia, Samsung, and iPhone, etc., to access contacts. Apart from this, MS Outlook is not necessary to install on the local machine to convert XLS contacts to VCF format. 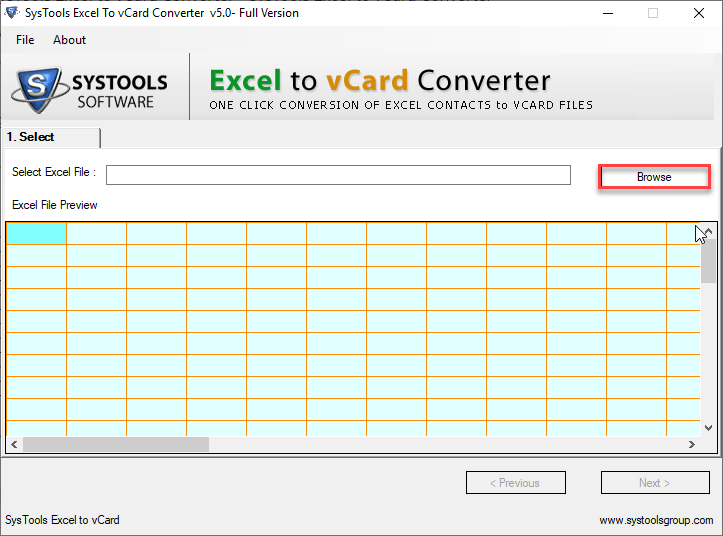 As the process of converting Excel data to vCard begins, the XLS to VCF converter displays a current conversion report. Among all the contacts, one can easily view the number of contacts with empty email addresses and the number of contacts being converted successfully on the pop-up screen. Q. 1. 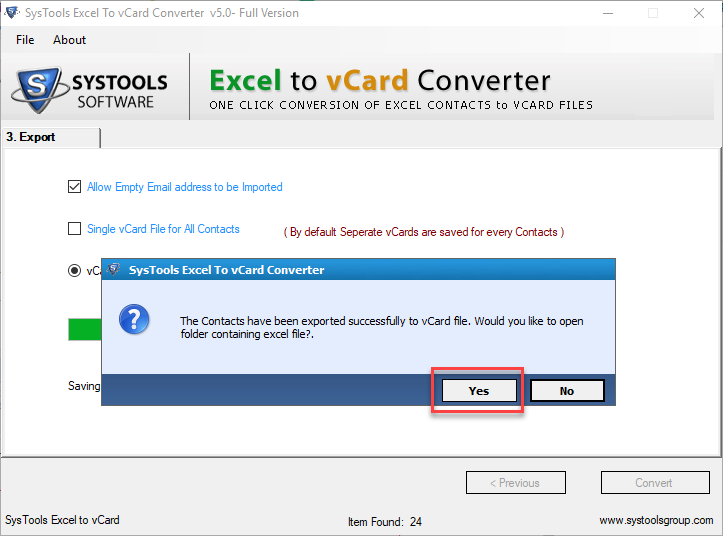 Does the XLSX to vCard converter allow to export 20000+ Excel contacts to vCard at once? 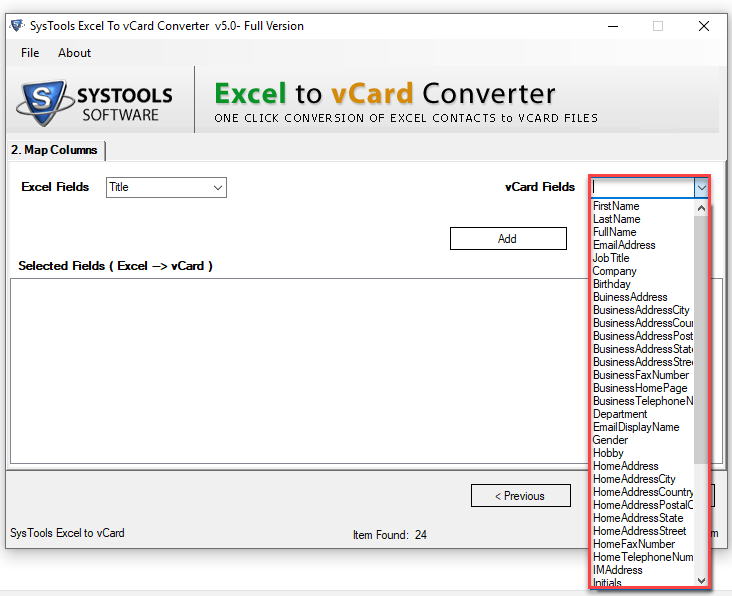 Yes, a user can easily export any number of Excel XLS contacts to VCF format at once using this Excel Contacts to vCard converter. 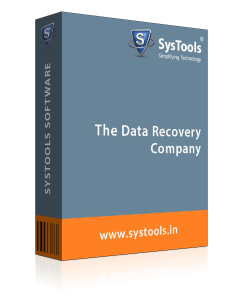 The software is tested over 30000+ contacts also. Q. 2. Can I import the output .vcf file to MS Outlook to access it? Yes, the resultant vCard file is compatible with all devices and applications supported by vCard, including MS Outlook. A user can easily export them MS Outlook without any hassle. Q. 3. 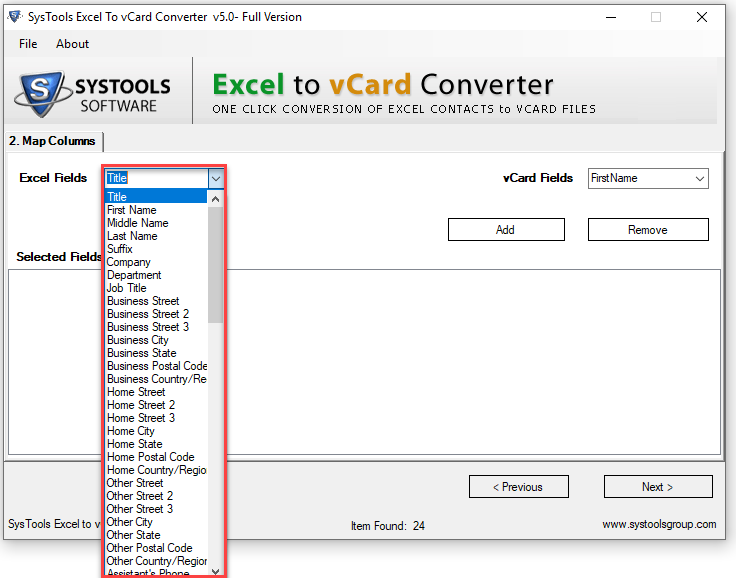 Is it possible to run Excel(xls or xlsx) to vCard converter on Mac operating system? No, a user is allowed to run this software on Mac operating system. 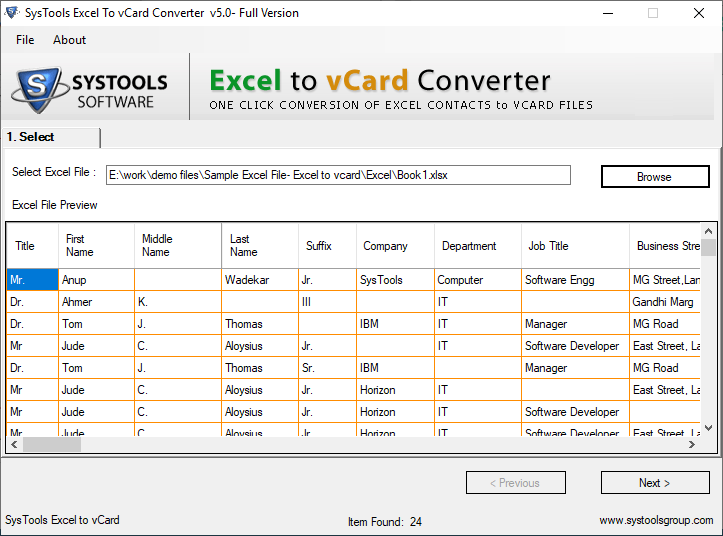 However, the Excel to .vcf converter is completely a Windows- based tool. How to Convert Excel to VCF? 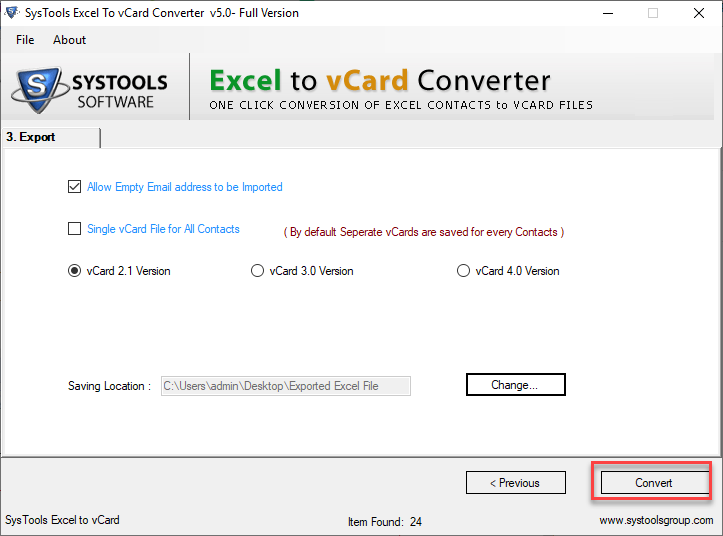 Step 1 : Install the Excel to vCard converter tool on Your system. Open the tool to proceed further. Step 2 : After that, click on the Browse button to choose an MS Excel file. Then, choose the desired MS Excel file and click on Open button. Select the Excel fields from the left pane of the screen. Step 9 : Then, click on Convert button to begin the conversion process. I really want to appreciate the technical support team of this software for helping me in such a great way. They listen all queries and resolve them by explaining each step them in a very simple and easy way. It was a really nice experience while using this amazing XLS to VCF Converter Tool Thanks to the support and the development team for such a wonderful product. The best part that I liked about this XLSX to VCF converter Software is that it has an easy-to-use interface that even a non-technical user like me can also use this tool without any hassle. Thanks to the developers for developing such a great utility and solving all issues related XLS file.